Shave Yer Tongue was an excellent club night as anyone who attended any of them will remember. Scott James was an SYT dj who had already released an excellent 12" on Andrew Weatherall's 'Sabres Of Paradise' label. We got to know Scott through his dj'ing & his record shop and he then teamed up with Nozmo to record the 'Cubic Space' album. Nozmo had appeared on a number of Astralasia albums & singles and the combination of his & Scott's talents produced an innovative & ahead of it's time album. 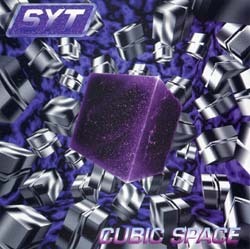 Some tracks such as 'Matrix' appeared on trance compilations in Europe.